Instructional league players in K through 2nd grade will use their Club provided practice pinny in games. After the season, players retain the practice pinny for the next season. Jersey numbers are assigned based on high school graduation year. Players that will graduate in an even number year will be assigned an even numbered jersey, while players graduating in an odd number year will be assigned an odd numbered jersey. Before acquiring another jersey, please read the Club policy. Returning players are NOT required to purchase a new jersey or kilt/short each season IF the game uniform from the previous season still fits. Families order game uniforms from the Club and pay separately at the time of order. The game uniform consists of a jersey and a kilt for girls or pair of shorts for boys. View the sizing chart here. It’s recommended that you attend a Club fitting session to try-on the uniform (see Club calendar) and make any changes before the Club's bulk order is placed. The costs for a jersey and shorts/kilt vary by gender and size and are listed in the registration. Complete uniform costs range around $65 to $75 for girls while the Boys range around $80 to $90 for complete uniform. The costs is non refundable. 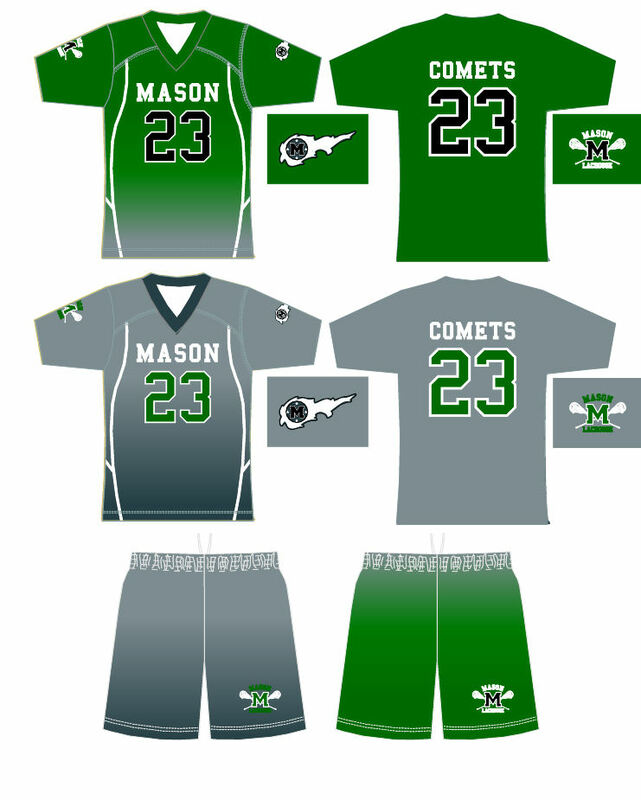 For players in grade 3 through 8, use the uniform registration process below to order and pay for your players Mason Lacrosse game uniform. Log-in using the same family account that was used to register the player for the upcoming season. Do not use another account and be careful that you don’t register a player a second time for the upcoming season. From the registration screen, select your player, review account information, submit, then complete the uniform questionnaire. You must pay in full by credit card when completing the orders or the orders will not be saved. The costs are non refundable. The Club will place a bulk order with the manufacturer. The Club expects to distribute new uniforms to the players in February. 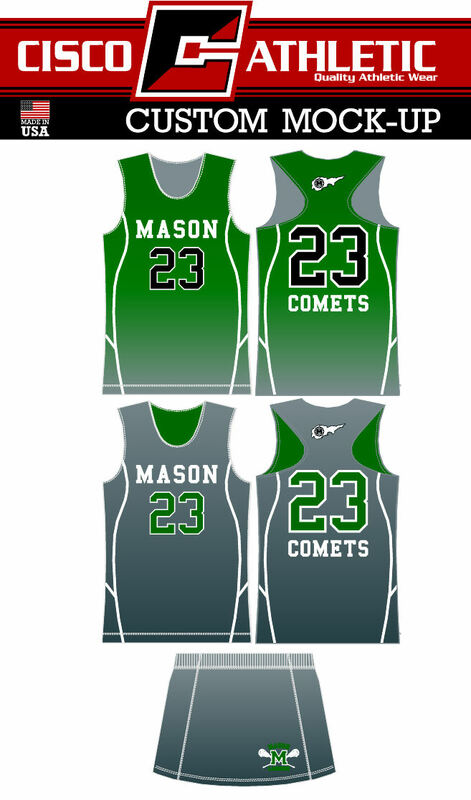 Begin game uniform registration and order on-line here.